Adding lights to a Command Pod/Cockpit? So somebody give it to me straight here, how much work would be involved in adding lights to a command pod? Specifically the old Mk1 pod/cockpit, which I just love; and I always add back in to my games. Via a small mod I made a while back. The lack of a toggle light does bug me a bit though, and I I have dabbled in modding and config file changes a bit before but I'm no expert. I'm guessing I'd have to add the animation module in, and then make an emissive to match the Mk1 cockpit's window shape? Any help or suggestions are most appreciated. Also if you want to tell me it's way more trouble than it's worth and I'm in over my head; that would also be welcome. Lol. Did you take the light out of it ? Add what ksp did that come from .90 ? Are you any good at textures ? I'm not the worst lol. Its not going to be possible as they rely on an 'Animation' component that has to be compiled into the model in the Unity Editor. So you can't add it to existing parts using the standard ModuleAnimateGeneric setup like other stock parts. There -might- be a stock module that can do it using config-defined float-curves, but as I don't use stock modules... I'm not really the right person to provide info on them. If mods are an option, some of them might have a config-based system to do it. I know that SSTU does -- I wrote it so that it actually takes the data from the config files and compiles a new animation at runtime (specifically to solve the case of models that did not have animations on them originally). Yes, modding is definitely an option, I had to mod it back into the game in the first place; so I see no harm in going further down the rabbit hole. Lol. To get back to my original question though; is the result going to be worth the effort? The lack of a light bothers me but it's a minor thing...I'm not lazy, and I'd be willing to learn some new systems and do some texture work to make it happen, but...I draw the line at 3D modelling since I have no experience with it. I'm also not looking to spend days and days of my time on it, so in your opinion; how large of a task would I be taking on here? I'm also not looking to spend days and days of my time on it, so in your opinion; how large of a task would I be taking on here? For someone familiar with the process, probably 15 minutes, and I would say that it is on the 'brain dead simple' end of the modding spectrum (compared to doing modeling, real texturing, extensive config work, and esp. plugin work). You need to create the emissive texture (maybe 5 mins for a very simple one for just the windows with a solid color), and then create the patch/edit the config file to add the module (maybe another 5 minutes as you can copypasta out of an existing part config). As this is a stock part, and it is probably compiled using the wrong shader, you'll have to also find some way to set/specify the proper shader (you need one with emissive support). Add another 5 minutes to copy/paste/edit a shader-assignment config (using TexturesUnlimited, or your favorite shader-replacing mod whatever that might be). If all of that made sense to you -- great, you are probably not going to have any problems, and it probably won't take you much more than 15-20 minutes. If any of that left you with questions -- you are probably in a for at least a few hours of work learning the various systems and how they all need to work together before you could make confident progress (shaders, textures, animations). I would still say it is 'worth it', but I also have some strange tortured mind that actually enjoys learning new things. Sadly, it is sounding like it will require at least two mods to accomplish what you are looking for -- TexturesUnlimited to allow for replacing of the shader and adding the new texture to the existing model, and SSTU for its config-based emissive animation module. There might be other mods' with similar features that could be used, but being the author of them, those are the ones that I am familiar with. Yeah, I have some experience with writing module manager patches (I wrote a small patch for myself that adds liquid fuel storage to all the stock wings for instance); so I get the gist of what you are saying, and copy pasting someone else's hard work sounds right up my alley. (Lol...) I am a little fuzzy on the details though. If I could trouble you with a few more questions I'd surely appreciate it. -What is an "emissive" texture and how does it differ from a regular one? The stock ones just look like a black background with the "glow" drawn onto the windows. Is it really that simple? -What's a good program for .dds files? I have paint.net and GIMP but I don't think either of them will allow me to edit them. It sounds like your two mods are going to be the easiest and most direct solution, and I have no issues with adding them to my game; or having them be a dependency for the cockpit mod, so yea; please do point me towards some example configs! I've come this far, and I'm not going to give up with out at least giving it my best shot. Thank you again for your help so far! What is an "emissive" texture and how does it differ from a regular one? The stock ones just look like a black background with the "glow" drawn onto the windows. Is it really that simple? Yep, thats it. Black everywhere except for the spots that should glow. The glowy spots will be brighter the closer to white the color is in the texture, and you can even include tinted colors -- I generally go for a beige/tan/yellow'ish color for window emissives (plain white looks a bit garish), but you could easily make them glow green/red/blue/purple/whatever color you want. I use a self-written png-to-dds conversion tool for my own needs, but it is based on the conversion code from DDS4KSP with the GUI removed ( https://github.com/Telanor/DDS4KSP ), which still works very well. This tool has given me the best results on DDS conversion for use in KSP, and is fairly lightweight and easy to use. I would not recommend using the GIMP .dds plugin, as it does not export them in the right format for some reason. It sounds like your two mods are going to be the easiest and most direct solution, and I have no issues with adding them to my game; or having them be a dependency for the cockpit mod, so yea; please do point me towards some example configs! You'll need to know the path to the model file and to the texture files. You'll need to know what shader you will be using (probably 'KSP/Emissive/BumpedSpecular' , but I'm not certain on that). If you need any further pointers, please let me know. No tag. You can do windows two ways. 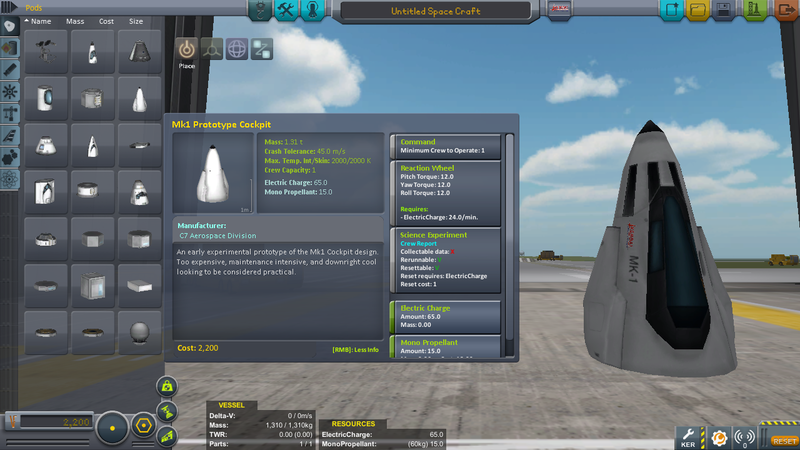 Like the engines (the harder way) or just by using the stock color changing module. You just put the right material on the windows. Note the transform the windows are on in Unity and place it in includedRenderer = X. and it will work. That first method looks like it might work (quoted above). I'm not familiar with the stock part-modules, but that looks to be about what the SSTU module does (although the SSTU one provides sane defaults so that the config is much simpler -- however you -can- manually specify the color curves in the SSTU setup as well). Must be a recent addition, because I know that module did not exist when I wrote mine (or I probably wouldn't have needed to write it at all). The second posted method will not work for this instance as it requires the animation be compiled into the model. So, as that stock module looks like it would work, it sounds like you might need only TexturesUnlimited for its shader/texture updating properties (or TextureReplacer might work, but I have no experience with its use or capabilities). Disclaimer: I am talking from an almost zero experience position here. I have taken a stab at this in the 'stockiest' way I could think of - I imported the existing texture into paint.net, saved it with another name in paint's native format. I had to correct some artifacts from the lossy import (bunch of white pixels along edges), but could then relatively easily create a second layer to paint all black except for the parts that I want to glow. I then saved that new layer as a dds. Editing the cfg is easy enough, I used the current standard Mk1 cockpit as a guide. The shader in the old cockpit is KSP/Diffuse. The current one uses KSP/Emissive/Specular. This can be edited in Blender. The shader has a bunch of color properties defined in the current one that sound related to the glow effect (eg. _EmissiveColor, etc). This too can be edited in Blender for the old cockpit. The current cockpit mu has an animation defined somewhere, which I presume is what causes the gradual transition from off to on and back when toggling the light. However, I have not found this in Blender yet. I don't know if that is because I'm not looking in the right place, or that it cannot be edited with Blender (seems unlikely), or maybe the import plugin doesn't import animations. I'm leaning towards me just not looking in the right place and hopefully someone can point me to it. If the cause is that the plugin doesn't do the animations, then I am stuck, because even if I could add such an animation with Blender itself, if the plugin cannot export it it won't be in the mu file. With the first steps done, and the mu exported, I loaded up the game, and it gave me an exception when trying to toggle the button (which only says 'Toggle') and no glow happened - obviously because the animation the button wants to trigger doesn't exist in the mu file. Long story short: I think it can be done 'stock' just by editing the cfg and editing the mu file in Blender, but someone would need to explain where/how to add the gradual glow animation. I get the feeling I am simply not looking in the right place to find it from the current cockpit, but it could also be that the Blender plugin simply does not 'do' animations, in which case it would require some other tool (Unity editor?). I found this on the cupola... it looks like this might work without requiring a compiled animation. I'll give it a try. Wow, lot's of info coming in here all of a sudden; I picked the wrong time to actually go back to playing KSP for a bit lol. Thanks for all the suggestions guys! Yes, If possible I'd like to stay as stock as I can if only to keep it as simple as possible. At the same time though it sounds like that's going to involve blender/unity editor work. I'm a lot more comfortable with module copy-pasting/editing; so I'm going to stick to trying to do it that way for now. The texture can definitely be a lot better, but you mentioned you can do textures, so feel free to improve or redo it entirely. The zip also includes the Blender and Paint.NET source files, for what they are worth. Take, use, edit and share at will, I reserve zero rights whatsoever. Wow, you even put an internal antenna on it? That's some attention to detail there. Can I at least give you a credit in the mod release page when I update it? Gonna see what I can do as far as tweaking it/cleaning it up. At the same time though it sounds like that's going to involve blender/unity editor work. I'm a lot more comfortable with module copy-pasting/editing; so I'm going to stick to trying to do it that way for now. Should not be necessary. That was the whole point of using the 'config based emissive animation' setup that I proposed earlier -- which is available through stock code. Yeah, sorry if I wasn't clear; that's what I meant. That I was going to try to do it the way you suggested vs. some of the alternatives involving blender that were mentioned. I was working on adding it via config like in the "Emissive on Windows" thread @Mecripp posted, but @swjr-swis was two steps ahead of me it seems lol. Seeing how he did it now, it's nice to know that I was on the right track and also, I appreciate you taking time to explain a lot of this stuff to me. Well, seeing as all stock command modules have that internal antenna, I figured why not, that way it's up to date. Credit on the release page is fine, all I meant is I assert no rights whatsoever (to appease the forum mods). I noticed I left my name in the comments of the cfg file; that was meant to be temporary while editing, to quickly find back what I changed in the editor. Please remove those before publishing it (I didn't really create those sections anyway, they are straight copies out of the other Squad part files). Hmm, I just noticed a message at game load saying it can't find a texture... without specifying what texture it is trying to find. The model loads properly, the lights toggle on and off (even with my icky glow texture)... which means it loads both the part texture and the emissive one I made. Anyone know why it complains, or how I can figure out what other texture it is trying to find? Never mind, I already found the error: Blender (read: me fumbling about in Blender) added a third but empty texture entry into the model - due to it being empty, it doesn't show it's there unless you happen to click in the empty space below the second texture. Once deleted and re-exported, KSP no longer complains. So, I'm still working on getting a color I'm happy with; but I thought you guys would find this picture amusing. OMG the internal lights are making the external skin glow!!! Imagine how bright it is inside lol.